Zenobia Brown, MD, oversees Northwell Health Solutions’ clinical programs, where she designs, implements and manages value-based care management programs. She also collaborates with site, clinical and managed care leaders to develop Northwell’s value-based clinical strategy. As medical director for Northwell Solutions, a role she worked in since 2014, Dr. Brown established episodic care models for orthopedics, stroke, COPD and cardiothoracic surgery patients. She oversaw Northwell’s Health Home Program and collaborated on our system-wide effort to reduce Medicare readmissions. Board-certified in family medicine, and hospice and palliative care, Mrs. Brown also maintains a clinical practice within Northwell’s House Calls program. Dr. Brown has lectured nationally about payment reform and practice transformation. She received her medical degree from Columbia University College of Physicians and Surgeons and completed a family medicine residency and chief residency at New York-Presbyterian/Columbia University Medical Center. 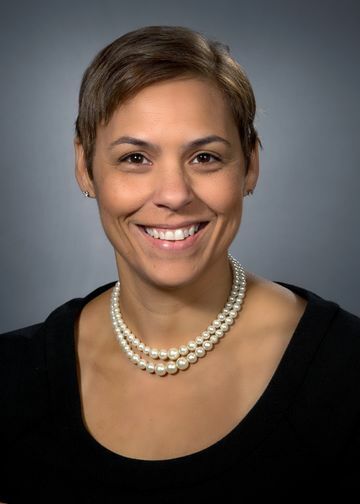 Dr. Brown spent more than a decade in Florida, where she helped implement state Department of Health community-based services, received a master’s degree in public health from the University of South Florida and served as associate medical director at Tidewell Hospice and Palliative Care. Managing care during the transition from hospital to home helps people to stay healthy once they’re discharged from the hospital.